Zac Green from popular music blog ZingInstruments.com walks us through some important tips on creating viral video content for your band. YouTube is one of the best platforms for promoting your music and building a huge fanbase. 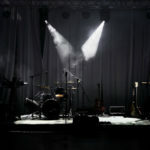 Music videos are among the most watched types of content, and when these go viral it can often catapult a band from relatively unknown to international fame in a matter of days. But what actually makes a video go viral on YouTube, and how can your band get that to happen? Despite the seemingly arbitrary manner in which some videos go viral and others don’t, many viral music videos have a number of attributes in common with each other. 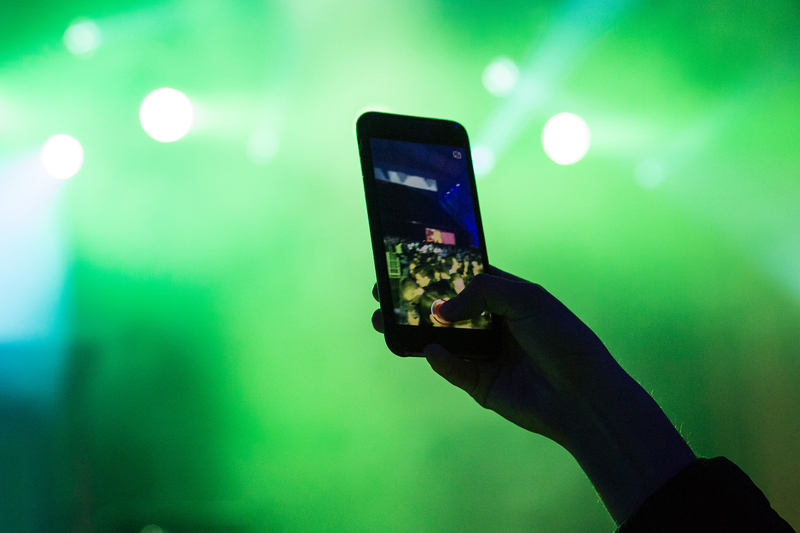 Here’s six tips on creating viral video content for your band. More than any other piece of advice on this list, this is the single most powerful factor for gaining viral status on YouTube. Having said that, it doesn’t mean that you can ignore everything else – we’ll get to why in a moment. Influencers are individuals and platforms with massive followings. Pewdiepie, the most subscribed to YouTube channel for several years, is an example of an influencer. If you are able to reach out to a number of people with a following like this you can vastly increase the chances of making your music video go viral. However, you can’t just throw any old video their way and expect it to work. Your music and the video’s concept will have to line up with the influencer’s audience. Using the previous example of Pewdiepie, a large portion of his subscribers are millennial gamers. Therefore a music video that incorporated gaming culture would likely be well received and have more chance of success. It’s also important that you pay attention to quality. Influencers have spent years of time building a brand. So, they don’t have time for endorsing the mediocre. Some music is just plain catchy. If you want to go viral, the best thing you can do is to make your song unbelievably easy to sing along to. 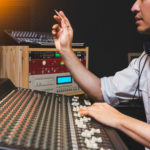 Simple chord progressions, upbeat and danceable beats combined with easy vocal melodies might sound too simplistic to work, but this just makes it easier for your audience to get engaged. Think about a nightclub full of people. When the DJ sticks on certain songs, everybody starts belting out the lyrics together. It’s almost spiritual. Strangers lock eyes and throw their arms around each other in spontaneous camaraderie. Anything you can do to that makes this easier increases the chances of your song going viral. Some music videos feature content sent in by fans to help the word of mouth marketing – who could resist the urge to show off to their friends and family that they are in a music video? Of course, simple catchy beats aren’t enough on their own, which brings us to the next point. Aside from influencers, the other main transmission vector you need to focus on to make a video go viral is to make it shareable. You can go serious or silly with this. The Chainsmokers’ song ‘Selfie’ was a ridiculous, almost pointless song. But it did hold up a mirror to hookup and social media culture in a way that made it funny for those who felt it reflected them. It was also quite satirical, and went over pretty well with people who absolutely hated this sort of thing precisely because of how blatant it was. Making a viral music video places the emphasis on the video. You can have a song that is by all accounts good, and sometimes it can be downright terrible, as long as the production quality is high. But YouTube is a visual medium, so you’re going to want to give more attention to those elements than you normally would. You can make a fascinating video concept in a literally infinite number of ways. Comedy is a great way to go, but more serious or even abstract ideas can also work. The key idea is that whoever is listening to the song won’t be able to tear their eyes away from the screen either. Dance routines are another routine that works well, and also lends itself brilliantly to the concept of helping the audience participate. A great example of this is Silento’s Watch Me, which gained a huge amount of popularity as people uploaded videos of themselves copying the dance moves. Sorry, but there it is. It’s more or less impossible to make a viral video on purpose. The only thing you can do is make a great video, a great song and then promote it everywhere. What catches on can’t be predicted. Having said that, you can cheat a little. So many things go viral that there’s no reason why you can’t ride the coattails of their success. Incorporating ideas from other viral content, such as dances, images or even phrases is an easy way to do this. For example, the phrase ‘cracking open a cold one with the boys’ spiked online in June 2017, and using this as the hook for a summer party anthem would have been a great way to siphon off some of that popularity. However, if you’re going to do this you have to be quick off the mark. If you’re too slow you’ll miss out on the potential boost and end up looking like you’re out of touch and trying too hard. Likewise, misunderstanding the meaning will cause you no end of embarrassment. Trying to make any one video go viral is a tough challenge no matter how hard you try. Instead of focusing on this at all costs, it’s important to build your own brand. Being active on multiple social media sites and engaging with your fans in a candid manner is a great way to build your popularity and make it easier for your music to go viral. Use more intimate channels such as Snapchat and giving your fans an insight into your daily life is an opportunity that musicians never had until recently, so you should do absolutely everything you can to capitalize on this. Going viral isn’t just about making a great video and paying a bunch of famous people to promote it. It’s about real connections. Not just between yourself and your fans, but helping your fans build a sense of community. When this is strong enough, it can reach viral levels. Thanks for sharing those genuine ideas with us. These tips were really helpful and needed. Thanks a million for all. Great information. It was really helpful and needed. ow great idea. I just post my videos to Pewdiepie! Never would have thought of that.. I really love the advise this site gives theres alot of useful information hear !!! Very useful tips, well organized and actionable immediately! Thank you! Very helpful article, Zac! Can’t wait to share these to my clients. Thank you! tip one: don’t shoot vertical video. Solid advice. Not everyone can go viral, but ALL viral music videos have relatable content! Hi, Thanks for the tips. It’s pretty hard to predict what video will go viral. However, mostly that are videos that make us laugh. Wow thanks for this is information . and i hope you can always make new article and me can follow it. I like your blog, nice content! Already following the site, thanks.